The starting exchange rate between the USD and recently introduced RTGS dollar will be 1:2.5. This was announced by the governor of the Reserve Bank of Zimbabwe, John Mangudya at a monetary policy review meeting this morning. The governor said this was agreed to by the central bank and the banks. The street rate is way too high because there is a risk premium. You can go to jail for 10 years! This is true of course. For formal businesses it is almost obvious they will not buy currency on the streets again because of the associated risks. Some were being forced to do so in the past days because the streets were the only place one would get reality that US dollars and our account balances are not the same. I am guilty as charged. Taking exporters’ money at 1:1 when prices had risen by 3 or 4 times was unfair. The 1:1 peg was punishing exporters. We were killing the geese that lay the golden eggs. It’s kind of infuriating that John Mangudya and Mthuli Ncube get to admit this because it’s convenient for them right now. How can we trust the central bank and government when they deny the truth just because it’s against their policy only to admit it after the policy changes? If this floating of the exchange rate is going to work, trust is going to be very important. Econet Aggressively Pushing Us To Install Their Apps. Beneficial? That is very good news as at least I will start with RTGS$2,500 for my US$1,000 in my account as of today. With all the confessions and implicitness in robbery, the 10 years or more is sure to affect those in power today? 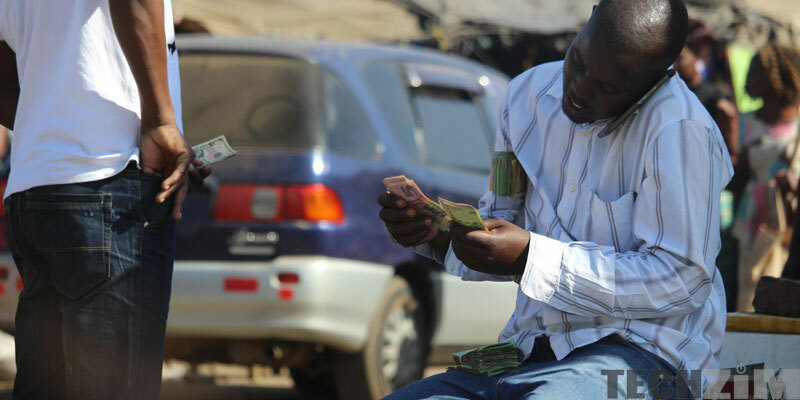 Did TechZim record the confessions of the Zimbabwean US$ money thieves? My concern now is that maybe nothing will happen because even the confessions of a murderer did not result in any jail term? The law is not an instrument of justice. Wonder why some lawyers demonstrated????? Sadly unless your money is in a nostro account, they are counting it as RTGS even if you deposited USD cash! What does this mean if you hold the billion and trillion dollar Zimbabwe notes ? what’s the conversion of that to the RTGS? This policy is a day (4 years) late and a dollar (1.50 to be exact) short. Who were you replying to? Seems the black market is unfased as they continue to trade at 400% . The Money transfer giant western union , has said it will be importing USD because the banks no longer have money. If the black market continues and the local banks are exposed for lack of USD we will have a problem in the weeks to come. I call a bluff on the side of RBZ. They don’t have the USD to sustain 2.5 and It will most likely go up . Whoever is behind the black market will see to it they do not prevail. Simple observation, now that there is an official exchange rate, i assume dual pricing will return with a vengence. I imagine most retailers will prefer forex as payment, because i doubt anyone is betting on RTGS $ strengthening. What i am getting at is that by floating the local currency and maintaining multicurrency regime, there is the possibility there will be little demand for local currency. (Do not forget that economy has been unofficially re dollarizing for the past few months)Think about it, if you have forex or a steady source for forex, why do you need local currency, ie why change your money? We see generous “discounts” offered all over the place for those that buy in forex anyway. My fear is that the market is already lopsided and if RBZ has not been able to correctly estimate and satisfy demand for forex the rate will go through the roof. Monetary authorities should have killed multicurrency regime to create demand for local currency, to balance things out. I mean that is how it works in other countries is it not? Why do you have to do this to your fellow country men? Surely you are not from this land of milk and honey that is the reason why you do not have respect for both the country and the people.